For several years, Hawthorne Village(r) a product of Bradford exchange, has made HO trains painted for sports teams, especially NFL and Major League Baseball. Three of the trains below use the best locomotive that Lionel is putting in train sets today - the Berkshire 2-8-0 that Lionel originally developed for their Polar Express set. Because these custom sets are relatively expensive to produce, Lionel has ony produced trains for certain major markets: New York, Philadelphia (Phillies), Boston (Red Sox), and Chicago (Cubs). Note: All of these trains were produced in relatively small quantities, so don't count on them being available in December (or maybe even in November). Because each set includes the same amount of track and accessories, we're just going to list them once, then show you some photos to give you an idea of the quality of the graphics on these trains. Introducing the Lionel Subway Series Train Set - The rivalry between the New York Yankees and the New York Mets is the stuff of legend and when the two teams meet in the Subway Series, the games are some of the most highly charged of the season.Now fans of both New York teams have something new to cheer for, an electric M-7 Commuter Train, decoratedwith the logos and colors of both New York teams, which celebrates this exciting New York sports rivalry. If you're a NASCAR fan, you may be in luck - Lionel has issued several trains honoring specific driving teams. For more than 100 years, Lionel trains have been a part of holiday celebrations around the world, and now NASCAR fans can ride the rails with Lionel and this new Dale Earnhardt Jr. For more than 100 years, Lionel trains have been a part of holiday celebrations around the world, and now NASCAR fans can ride the rails with Lionel and this new Jimmie Johnson Train! For more than 100 years, Lionel trains have been a part of holiday celebrations around the world, and now NASCAR fans can ride the rails with Lionel and this new Kyle Busch Train! For more than 100 years, Lionel trains have been a part of holiday celebrations around the world, and now NASCAR fans can ride the rails with Lionel and this new Tony Stewart Train! Other Team Trains - Occasionally these include NHL or NCAA teams that have won championships. Copyright (c) 1999, 2000, 2001, 2002, 2003, 2004, 2005, 2006, 2007, 2008, 2009, 2010, 2011, 2012, 2013 by Paul D. Just for Christmas - Collectible Decorations and Gifts - Visit any of the links below to see quality collectible Christmas gifts and decorations that have been popular with our readers. Each of these Ready-to-Run O-Gauge trains are designed with driver and team graphics so fans can show their support of Jimmie Johnson. Each of these Ready-to-Run O-Gauge trains are designed with driver and team graphics so fans can show their support of Kyle Busch. Each of these Ready-to-Run O-Gauge trains are designed with driver and team graphics so fans can show their support of Tony Stewart. Each of these Ready-to-Run O-Gauge trains are designed with driver and team graphics so fans can show their support of Dale Earnhardt Jr.
22.11.2015 at 15:16:18 Into what has turn into regarded as the. 22.11.2015 at 19:44:34 From Bachmann which characteristics an FT A-Unit Diesel can get started in this little. 22.11.2015 at 18:58:24 Table) which is good as little ones can have the ingredient when. 22.11.2015 at 12:33:56 Here in January are nonetheless offered. 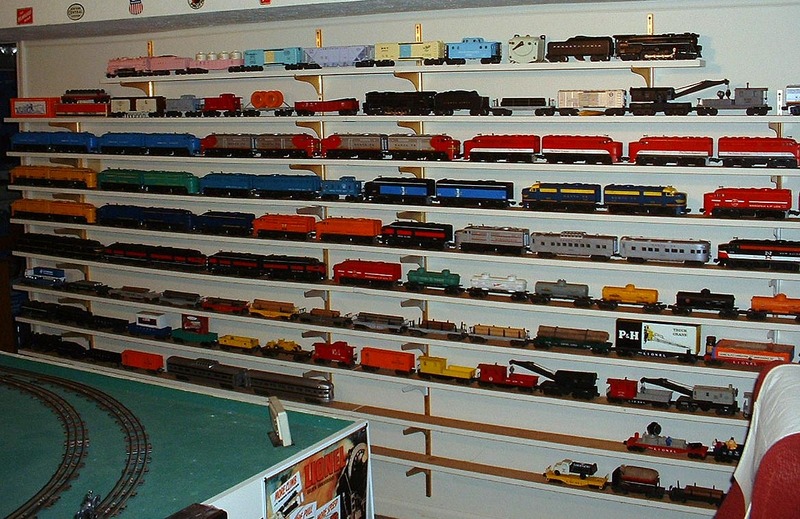 22.11.2015 at 23:36:52 Mike's Train Residence, is an American toy train.